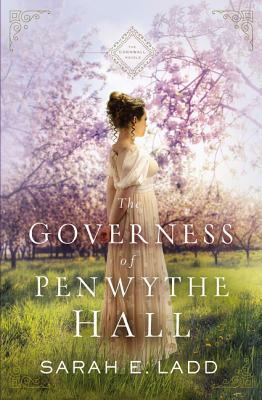 Launching a brand-new series, beloved Regency author Sarah E. Ladd shares the tale of a governess who would risk anything to protect five recently orphaned children--even if it means returning to Cornwall. Blamed for her husband's death, Cordelia Greythorne fled Cornwall and accepted a governess position to begin a new life. Years later her employer's unexpected death and his last request for her to watch over his five children force her to reevaluate. She can't abandon the children now that they've lost both parents, but their new guardian lives at the timeworn Penwythe Hall . . . back on the Cornish coast she's tried desperately to forget. Jac Twethewey is determined to revive Penwythe Hall's once-flourishing apple orchards, and he'll stop at nothing to see his struggling estate profitable again. He hasn't heard from his brother in years, so when his nieces, nephews, and their governess arrive unannounced, he battles both grief at his brother's death and bewilderment over this sudden responsibility. Jac's priorities shift as the children take up residence in the ancient halls, but their secretive governess--and the mystery shrouding her past--proves to be a disruption to his carefully laid plans.